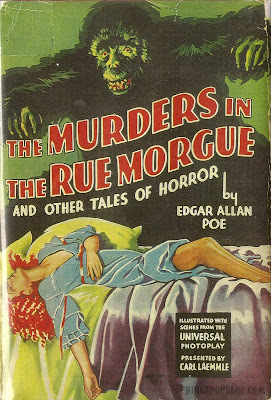 "Murders in the Rue Morgue" photoplay edition. Love the Mach Tey dust jacket art. Outstanding as usual. I'm the sure the collectibility on this one is raised by the presence of an ape on the cover. Wonderful. Though a bit of a spoiler.